Click here to visit the POWDER website. 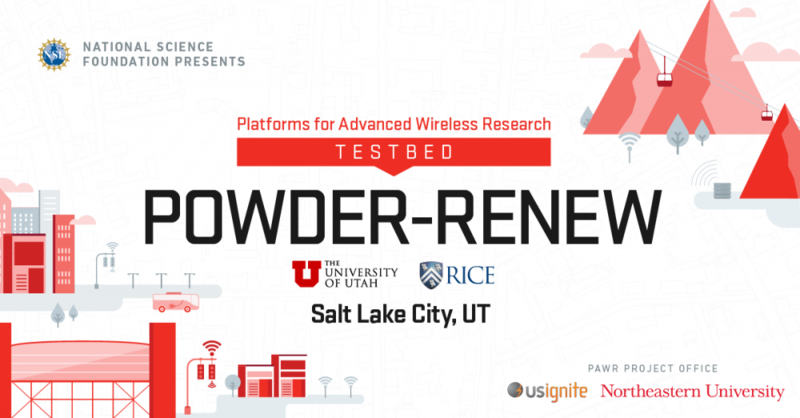 POWDER-RENEW is part of the National Science Foundation’s PAWR program, and is funded in part by NSF award CNS-1827940, and by the PAWR Industry Consortium. If you are interested in staying up to date on the advanced wireless effort, fill out the form below and we will add you to our email list. Please send any questions or comments to [email protected]. This material is based upon work supported by the National Science Foundation under Grant No. CNS- 1719547. Any opinions, findings, and conclusions or recommendations expressed in this material are those of the author(s) and do not necessarily reflect the views of the National Science Foundation.